Baked Acorn Squash with Bacon recipe is the easiest and most popular way of cooking this delicious acorn squash. As Acorn squash are a wonderfully easy side dish that is great anytime of the year. My daughter always requests this delicious Baked Acorn Squash with Bacon for her birthday dinner every year. This is also a favorite at our family Thanksgiving meal. Acorn Squash: As its name suggests, this winter squash is small and round shaped like an acorn. One of my favorite baking squashes, it is easy to slice into halves and fill with butter. A small acorn squash weighs from 1 to 3 pounds and has sweet, slightly fibrous flesh. Its distinct ribs run the length of its hard, blackish-green or golden-yellow skin. In addition to the dark green acorn, there are now golden and multi-colored varieties. This is a must recipe to make for your family. * Easily found in supermarkets. As the name suggests, this winter squash is small and round shaped like an acorn. Cut squash in half lengthwise (from stem to end). Use a spoon to scoop out the seeds and stringy stuff in the center of each squash half. Score the insides of each half several times with a sharp knife. Salt and pepper in the hollow scoop of each squash half. Place a bacon half in the hollow of of each squash. Place each squash half, with bacon, in a large baking pan, cut side up. Add about approximately 1/4-inch of water to the bottom of the baking pan so that the skins don't burn and the squash does not get dried out. 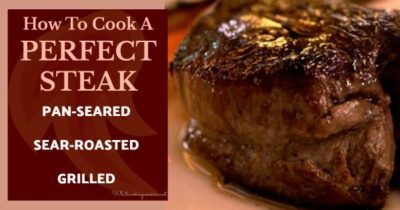 Bake approximately 1 hour or until tender when flesh is poked with a fork. Remove from oven.